This archive includes student-written cases from the A2Ethics 'Get on the Case' contest for high school students. Contest guidelines and information can be found here. The National High School Ethics Bowl case archive is also a good resource. All the cases submitted for the 2019 case competition can be found here. Please see below for the four winners. 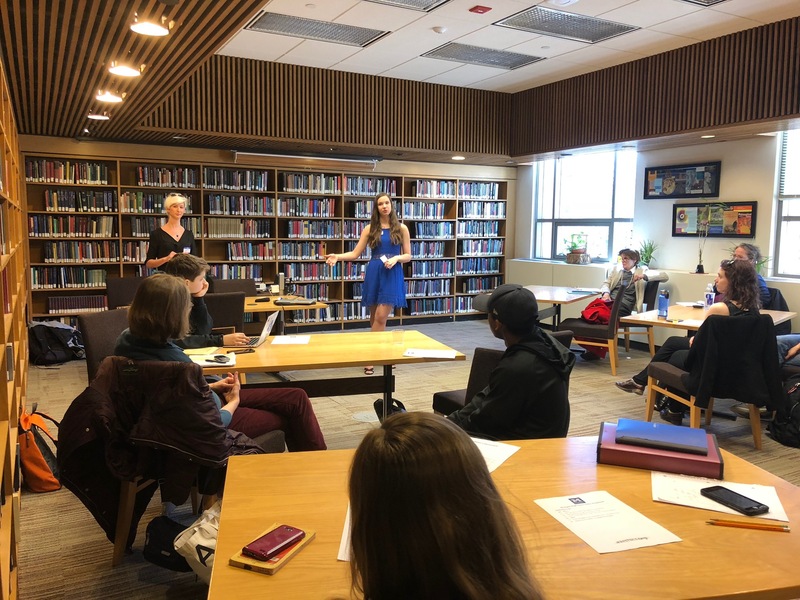 Claire Weadock, from Saline High School, took home the Grand Prize for her case entitled "A Difficult Decision," which discusses gender identity and gender reassignment surgery. Click here to read her award-winning case. 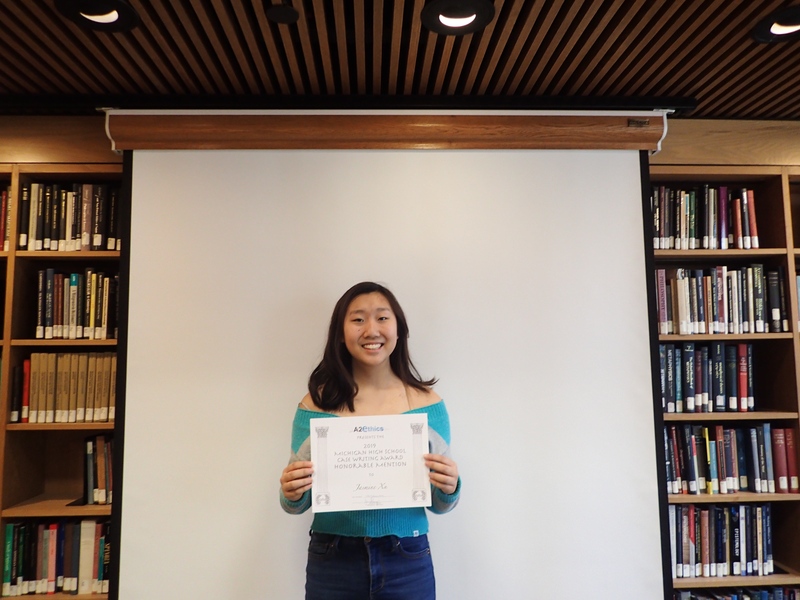 Jasmine Xu; Polina Chuikov, Atticus Tanguay and Laurie Dahl; and Naomi Veidlinger, Cate Dombrowski, Lauren Bretzius, Alayna Offredi and Layla Jarjoura all took home honorable mentions for their cases entitled "Dirty Clean Water Advocacy," "Would You Go To College With a Sexual Assault History?" and "Birth Control vs Rebecca bow bow," respectively. Click here, here and here to read their award-winning cases. All the cases submitted for the 2018 case competition can be found here. Please see below for the three winners. 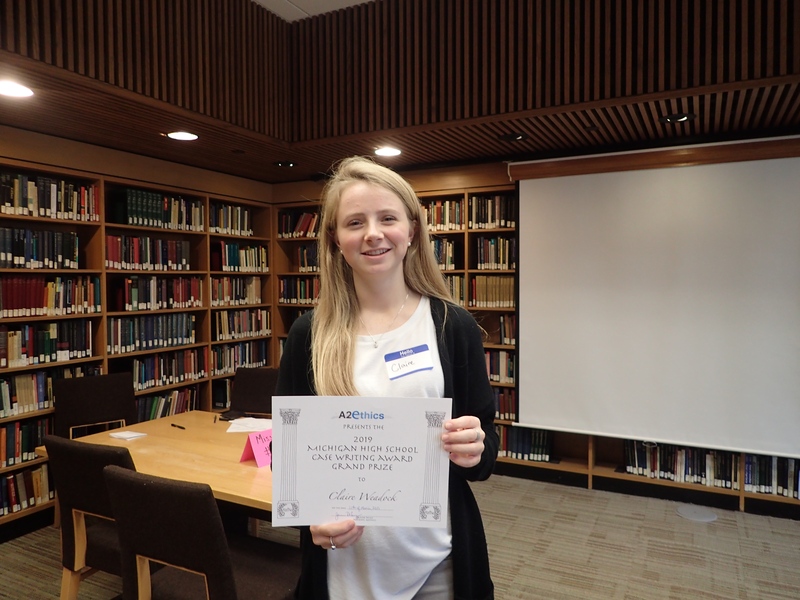 Ellie Makar-Limanov, from Huron High School, took home the Grand Prize for her case entitled "Past and Punishment," which delves into what consequences former war criminals should face, and whether an individual can truly reform. Click here to read her award-winning case. 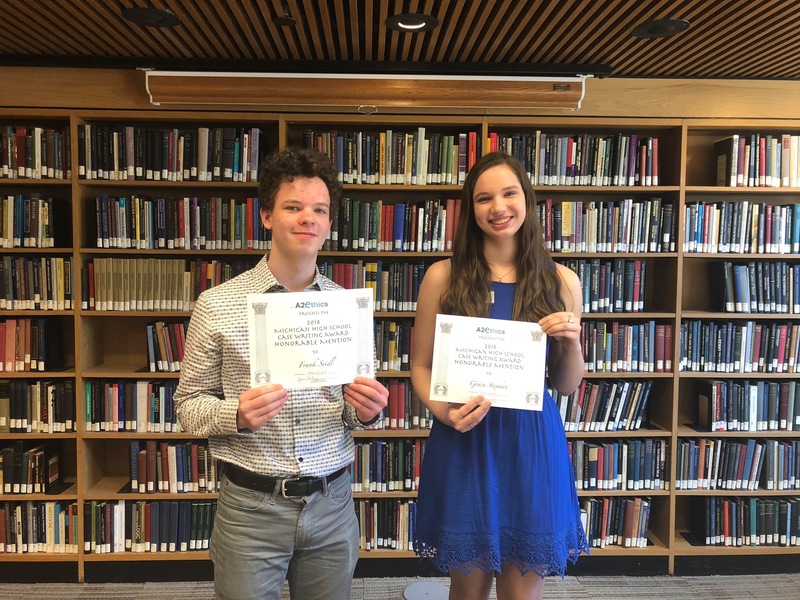 Grace Stephan, from Pioneer High School, and Frank Seidl, from Huron High School, took home honorable mentions for their cases entitled "Prisoners of War" and "Disabled Athletes." Grace's case discusses the ethics of prisoner exchange and the rights of the many over the rights of a few; Frank's case explores the changing world of prosthetic limbs, and what it means for sports competitions. Click here and here to read their award-winning cases. All the cases submitted for the 2017 case competition can be found here. Please see below for the three winners. Ellie Makar-Limanov, Miguel Cisneros and Frank Seidl, from Huron High School, took home the Grand Prize for their case entitled "License for Parents" about proposed policy around parenting and adoption. Click here to read their award-winning case! Joseph Wise, from Wayne Memorial High School, took home one of two honorable mentions for his case entitled "Spheres of Influence" about celebrity endorsements. Click here to read his award-winning case! 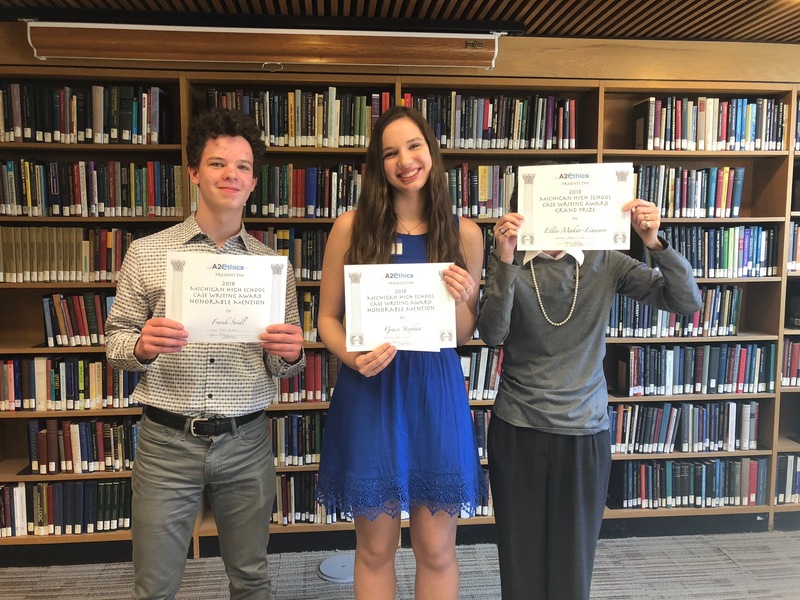 Ellie Makar-Limanov, Miguel Cisneros and Frank Seidl, from Huron High School, also took home a honorable mention for their case entitled "The Culling" on Ann Arbor's deer cull. Click here to read their award-winning case!